Krome-Die is the “least deforming” of all general purpose die steels. Because of its high chrome and high carbon, it is the ideal material for many applications where abrasion is a key factor. 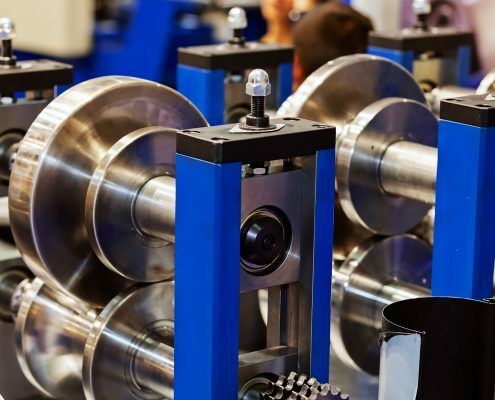 Consider this when specifications call out for AISI D-2 type tool steel. 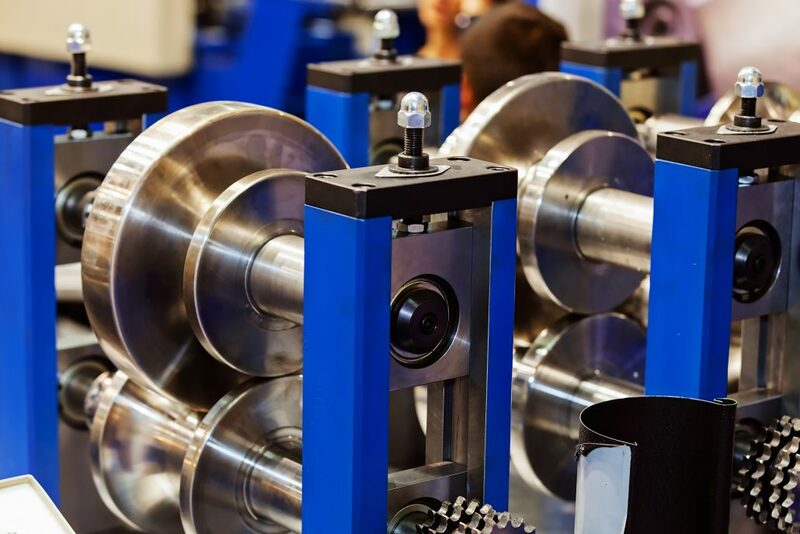 Typical applications include: blanking dies, shears, cold drawing dies, cams, coining dies, forming rolls and bending dies. Call or email us for a quote. In most applications, other than where impact and shock contribute to die failure, Krome-Die will rapidly become your Tool Steel of choice. Specify Krome-Die for extremely long run dies and die configurations where dimensional accuracy is demanded. Annealing – Generally furnished annealed. 1,600°F/ 1,650°F, furnace cool (229 BHN average) Hold at temp 1.5/hrs per inch of greatest cross section. Cool slowly in furnace (20 degrees/hr) to 900°F. Note: If the part will require heavy machining, it is a good idea to first rough machine the annealed part with allowance. Then perform a sub-critical anneal at 1,200°F to 1,250°F (to relieve machining stresses) – slow cool and finish machine. Forging – Heat slowly to 1,900°F/2,000°F, stop at 1650°F, cool slowly. Hardening – Pre-heat slowly to 1,200°F/1,300°F, then to hardening temperature of 1,825°F /1,850°F,air quench to 150°F. Pack in inert material to retard the effects of de-carb. Typical work hardness Rockwell 58/64 “C”; as quenched surface hardness Rockwell 61/64 “C”. CAUTION: If over heated to 1900°F or higher, all High Carbon, High Chrome steels will shrink and lose hardness. Preheating – 1200°F/1250°F is not required if you have performed the sub-critical anneal mentioned above. @ 350/450°F typical hardness Rockwell “C” 63. @ 500°F typical hardness Rockwell “C” 59. @ 800°F typical hardness Rockwell “C” 57. (Minimum time at tempering temperature is one hour per inch of thickness, even on thin sections. Heavier sections should be held a temperature sufficient for uniformity of temperature.) Do not normalize. Slight contraction in size when tempered below 900°F, and if overheated to above 1,900°F. Another temper at 950°F/1,000°F may restore the size. If not hardening in a vacuum furnace, prevent de-carb by packing in inert material. Cougar is the past protected tradename of North American Steel Company. Atmos #12 is the past protected tradename of Ludlow Steel Company.